Writer Dan Oko offers advice for a Day Trip to Galveston including drinks at The Rooftop Bar at The Tremont House. "With its miles of beaches, busy cruise port, and many parks and attractions, this barrier island in Texas will keep everyone entertained." Texas Hill Country shares its picks for 3 Top Romantic Getaways. The Tremont House in Galveston makes the list. 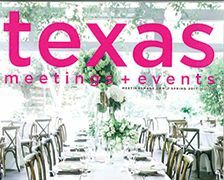 Texas Monthly Writer Jordan Breal highlights what to see and do, eat and drink, shop and where to stay for readers. Highlights include a stay at The Tremont House and Hotel Galvez & Spa. Writer Melissa Sersland offers details on historic hotels in Texas that offer one-of-a-kind charm including The Tremont House, Hotel Galvez & Spa, Hotel Settles, and The Lancaster. Eat Move Make Blogger Liz Mays shares her picks of Galveston hotels. Having Fun in the Texas Sun Blogger writes about touring The Strand in Galveston. Writer Janice Nieder provides tips on travel ideas for A Luxury Travel Blog including recommendations on dining, activities and places to stay.